Ocasio-Cortez has already racked up three ethics complaints since taking office in January: two for allegedly misusing congressional resources, and one alleging her chief of staff, Saikat Chakrabarti, set up a million-dollar private slush fund. 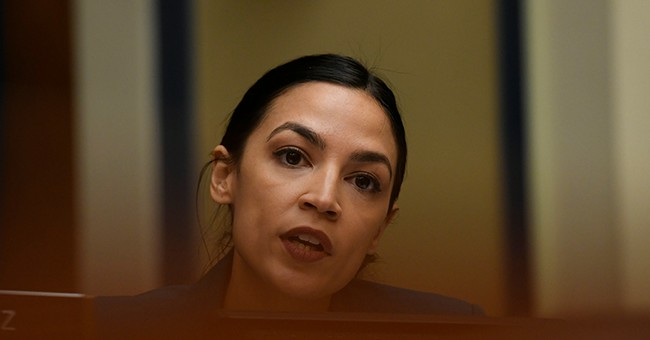 Ocasio-Cortez has also faced legal scrutiny over her and Chakrabarti’s control of an outside super PAC, Justice Democrats that was a driving force behind her congressional campaign — an arrangement former FEC commissioners say may have violated federal election laws. “Whoah: the creepy org filing bogus ethics complaints against me just *actually* got hit with one of the biggest fines in FEC history,” Ocasio-Cortez falsely asserted. Rather than correcting the inaccurate tweet, Ocasio-Cortez posted a second tweet, claiming that former Right to Rise operative Luke Thompson was both the target of the fine and the person filing ethics complaints against her. Neither of those claims are true. Thompson wasn’t mentioned in the complaint against Right to Rise, and doesn’t work at any of the groups that have filed the ethics complaints against Ocasio-Cortez. Guys, she’s fighting for things that are morally right, so she can just lie, right? Nice work by DC in shredding this shoddy tweet. I’m sure there will be more in AOCs future on the Hill.